BIG gets its West End premiere after touring the UK in 2016. The show is based on the hilarious 80s movie starring Tom Hanks and sees a 12-year old body stuck inside of an adult body have to navigate his way through the grown-up world. BIG the Musical plays at the Dominion Theatre for a limited nine-week run. The festive Irving Berlin musical based on the 1954 classic Christmas film comes to the Dominion Theatre this winter. The production features well-knowns songs, including ‘Count Your Blessings’, ‘The Best Things Happen While You’re Dancing’, and of course, the titular ‘White Christmas’. The Dominion Theatre’s box office is located within the theatre building on Tottenham Court Road and is open from 10am – 7.45pm on Monday to Saturday Pre-purchased tickets can be arranged for collection at the theatre’s box office an hour before the show starts. If you plan to collect your ticket you will need the card you used to make your purchase along with your booking reference. Built on the site of a former Leper Hospital and the Meux Brewery, which saw eight people die in a beer flood, the Dominion Theatre has some rather grave roots and is said to be haunted to this day! In the 1930's the venue was used as a cinema, screening films such as The Phantom of The Opera, The Sound of Music and West Side Story right up until the 1980’s, where is began to house large live musicals. A series of major theatrical extravaganzas have played at the theatre, including The Judy Garland Show (1957) and Jackie Mason: Brand New! (1993). Quickly, popular musicals began to arrive at the Dominion, including Grease (1993-1996), Scrooge (1996-1997) and Disney's Beauty and the Beast (1997-1999), with smaller shows such as Matthew Bourne's Swan Lake and Tango Passion (2000) also gracing the stage. The Dominion Theatre has also hosted the prestigious Royal Variety Performance on four separate occasions, and has been regularly used for the Hillsong Sunday Service since 2005. In 2002, the venue finally made its name, hosting the unprecedented smash-hit success of Queen's musical We Will Rock You, which played at the theatre for an impressive twelve years until 2014. Following the musical's closure, a disappointingly brief revival of Evita (2014) played, before embarking on a UK tour. 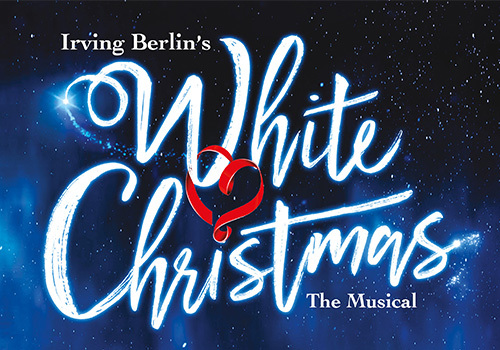 Irving Berlin's White Christmas played until the end of 2014. 2015 saw a range of eclectic productions pass through the theatre, including Frozen Sing-Along, Aliens Love Underpants, Lord of the Dance: Dangerous Games and Elf! The Musical (2015-2016), starring Ben Forster and Kimberley Walsh. 2016 productions included Jeff Wayne's The War of the Worlds and The Bodyguard, starring pop superstar Beverley Knight. Broadway musical An American in Paris transferred to the Dominion Theatre in March 2017, featuring music by George and Ira Gershwin and earned five-star reviews from critics. Closing in January 2018, the venue later saw a strictly limited season of Shen Yun arrive. Jim Steinman's Bat Out of Hell the Musical (2018) arrived at the Dominion Theatre and closed in 2019. 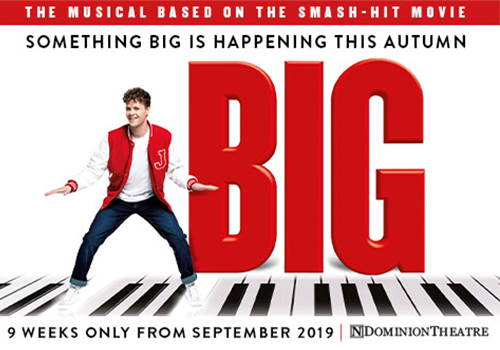 The Dominion has undergone renovations for most of 2019, opening again with a musical adaptation of 80s movie BIG in September. From November to January, classic musical White Christmas will play at the venue.